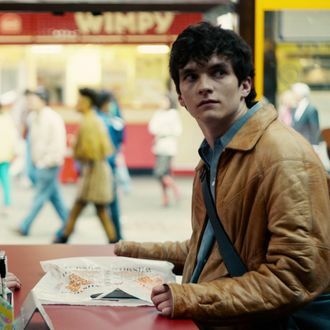 For all of the dad murders and ‘80s era synthpop we’re subjected to in Black Mirror: Bandersnatch — we chose Thompson Twins, obviously — perhaps the one thing we didn’t think of while ruining Stefan’s life is how exactly Netflix was able to create its first-ever interactive project. The short answer for pioneering a new genre as we know it: Very hard indeed. As outlined in a new THR feature, the streaming service had to heavily invest in and create a brand new in-house tool for Bandersnatch, called Branch Manager, in order to properly accommodate showrunner Charlie Brooker’s sprawling, nonlinear narrative. “You couldn’t do this in a flow chart because it’s dynamic and tracking what state you are in and doing things accordingly,” Brooker explained, who could “input and deliver his evolving script directly to Netflix” with the nifty tool. The streamer wouldn’t say how long it took to create this “state tracking” technology, but did confirm it’ll continue to be used in future interactive projects, Black Mirror or otherwise. That, and it allowed the geniuses behind Bandersnatch to execute way too many narratives. “There are millions of permutations of how you can play this story,” Carla Engelbrecht, Netflix’s director of product innovation, added. “But because of the complexity of the map and the way it hovers in on itself, it’s actually hard for us to calculate how many choices there actually are.” In the meantime, you may find this flow-chart useful for all of the potential endings.